Henna and Tarot and Blessings, Oh My! Milestone birthdays should be celebrated with girlfriends and Lisa wanted to treat hers to an exotic Moroccan-themed evening – so FABULOUS! The minute guests entered the private room at Bluehour restaurant and had a bindi laced to their forehead, they knew a magical evening was in store with countless treats for the senses. 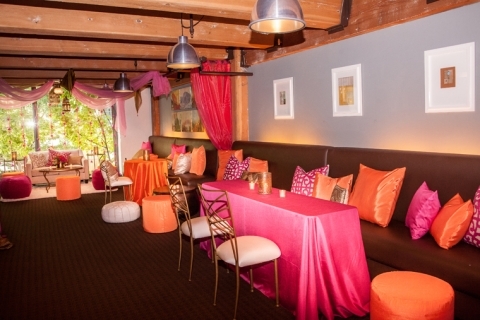 Magenta and tangerine poufs, pillows and drapes along with gold lanterns and candles set a colorful scene. Gorgeous arrangements from Haute Floral added to the mystique. 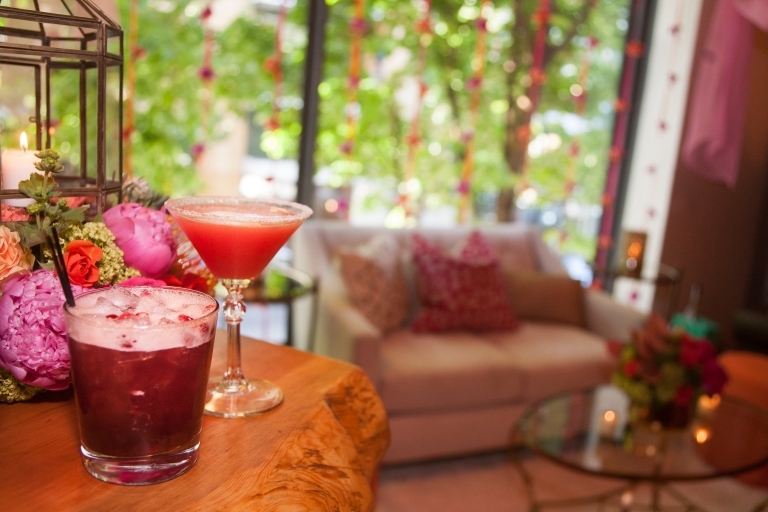 Signature pink cocktails and a mouth-watering dinner selection kept the party-goers fueled for alluring henna creations, tarot card readings, and even an energy shaman giving blessings! And that cake! Custom thank you gifts for each friend rounded out the unforgettable girls’ night out. Lisa sure made fifty fabulous! 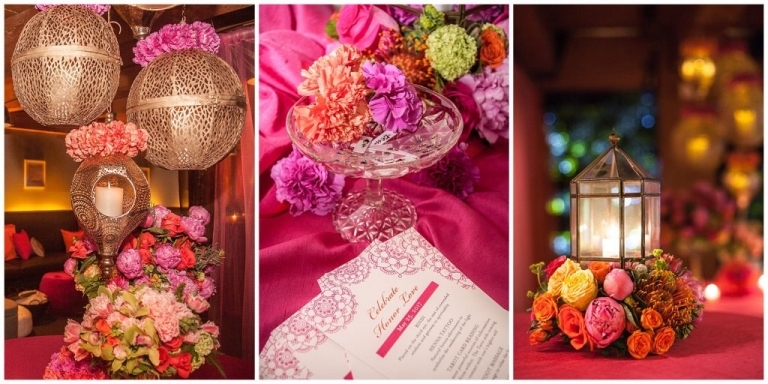 Luscious blooms, colorful accents and candle-lit gold lanterns set the mood for this Moroccan celebration. Signature cocktails and signature colors! So many treats to choose from – intricate henna, finding your future in the tarot cards, pampering foot baths and tantalizing libations. 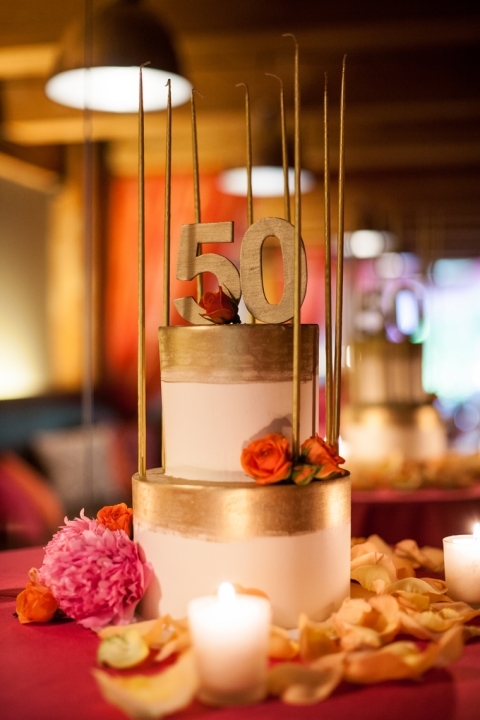 Fortunately when you are 50, you don’t have to choose – you can do it ALL! We loved being part of this special event and finding the perfect details to tie everything together Moroccan-style for Lisa and her girlfriends. A Happy Birthday indeed! © 2019 BLC Events|ProPhoto Photography Blog|Design + Dev by Northfolk & Co.